This optimal level of care is not an accident. Observing the often lax standards within the industry, South Lake Podiatry – under the direction of Noela Askew – are on a mission to be the hands-down leaders in the field. A podiatrist of 20 years, and also holding her Law degree, Noela's analytical mind and commitment to excellence is at the core of South Lake Podiatrist's ethos and achievement of results. 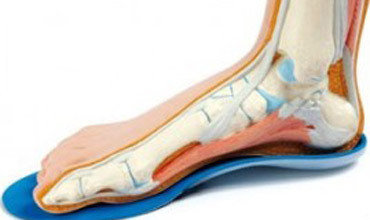 We enjoy challenging cases, that have not responded to another podiatrist treatment. Our podiatry clinic treat people in all suburbs including: Cockburn Central, Beeliar, Hammond Park, Aubin Grove, Atwell, Bibra Lake, Yangebup. Thoroughness is paramount to our methodology, and our extensive list of services include computer analysis for diagnosis prior to orthotic therapy, shockwave therapy, acupuncture, kinesiology taping, joint mobilisation, doppler, neurothesiometer, and medical imaging for diagnosis. In far too many cases, podiatrists (in an effort to hurry through more patients) often prescribe orthotics to patients when, in actual fact, orthotics may not even be the correct treatment for the condition at hand. When prescribed appropriately, orthotics can be a life-changer – bringing relief to even chronic conditions – though when they are inappropriately prescribed they change nothing for the better. Our fully trained and certified podiatrists know when orthotics are the correct treatment for a condition, as well as any other essential procedures that need to be explored as treatments. 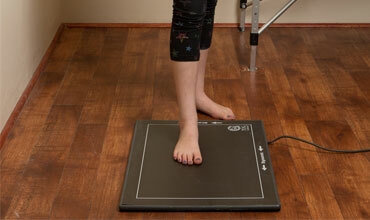 South Lake Podiatry is the only podiatrist south of the river with a shockwave therapy machine. One of the most effective non-invasive treatments, shockwave therapy is used for a range of chronic soft tissue conditions of the lower limb such as chronic Achilles tendonitis and plantar fasciitis. The treatment involves applying a probe against the skin from five to 10 minutes, allowing high energy sound waves to spread outwards to the affected tissue; stimulating C nerve fibres. Shockwave therapy provides many benefits, such as activation of an area for repair, and can be a critical precursor to other treatments. One of our podiatry treatments in Perth is a TOG GaitScan; a highly sensitive pressure mat designed to obtain information about how you stand and walk. Shockwaves appear in the atmosphere when explosive events take place, such as lightning strikes and when aeroplanes break the sound barrier. It has been used by the Olympic teams to help reduce pain and restore function after their events. By wearing orthotics, pressure is taken off the affected joints and muscles; providing both pain relief and long-term support that can often correct a problem. Diabetes is a persistent raised blood glucose level as a consequence of reduced production and resistance. It can be treated by medication and/or diet. Want to keep up to date with our latest research? Subscribe to our newsletter to find out more! You are never too young to start having issues with your feet. 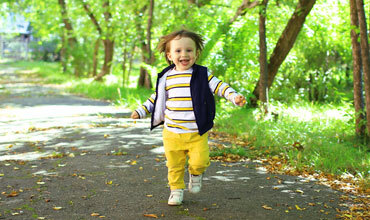 Paediatrics are especially susceptible as they are constantly growing. Find out what we can do for your child today!